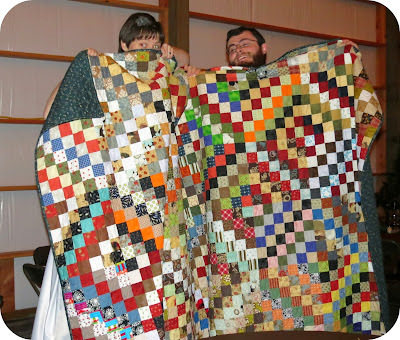 When I found out that the flower girl from our wedding was getting married (she is Jim's youngest cousin); I knew I wanted to make her a quilt. But with being away; I knew I had to do something speedy and that's when I remembered my scrappy trip along blocks(you can read about them here). I had the top pieced on Tuesday and quilted it Wednesday. I lucked out on the backing fabric; $3/m on clearance at the quilt store. For Canada, that is an amazing price! I started working on the binding Friday night and finished it in the car on the 90minute drive to the wedding lol. 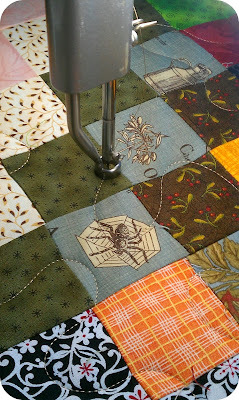 I absolutely adore this quilt. It couldn't have turned out more perfectly. 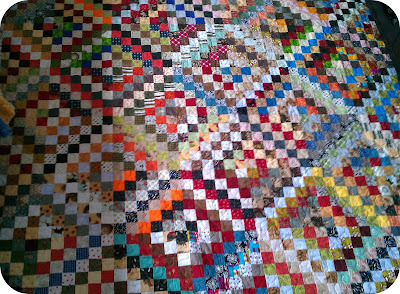 Because the quilt is so busy, I kept the quilting simple and did just a large meander over the quilt. I love looking at all these fabrics; they represent years of quilting and so many fabulous quilts. I love how the spider worked out. When we arrived at the wedding, we found out that Jen and Charlie were moving to Michigan on the 27th. Learning that made it so much more meaningful that I made this quilt for them. Totally sweet! 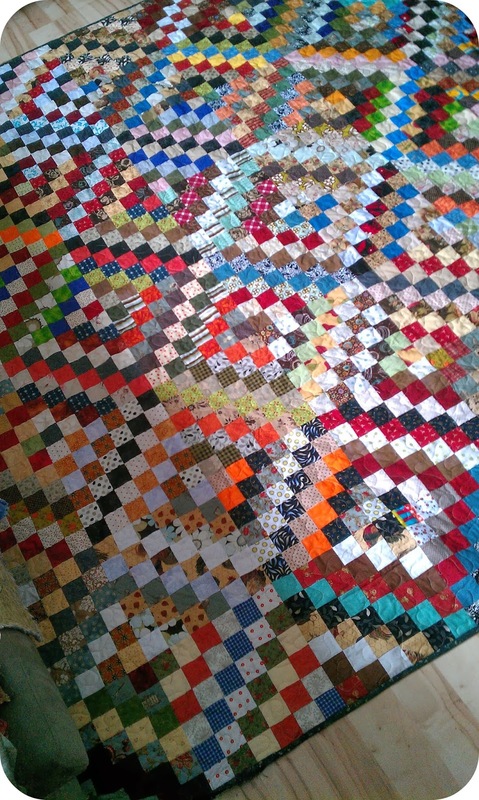 A quilt, containing so many memories, on its way to make new memories! Love it!!!!! !